Practice the questions given in the worksheet on multiplication table of 8. The questions are based on finding the product using the multiplication table of 8. 1. Count forward by 8’s from 8 to 160. 2. Count backwards by 8’s from 160 to 8. 5. Jack is 5 years old. His father is 8 times older than him. How old is the father? 6. Kelly reads 8 pages of a book each day. How many pages will she have read in 9 days? 9. (i) What are 8 eights? (v) What are 9 times 8? (ix) What is 2 multiplied by 8? (x) 8 multiplied by 12? 10. What does 8 × 10 mean? What number is it equal to? 11. A regular octagon has eight equal sides. How many sides do 4 octagons have? 12. An octopus has eight legs. How many legs do 9 octopuses have? 13. (i) How many eights in 32? (ii) How many eights in 56? 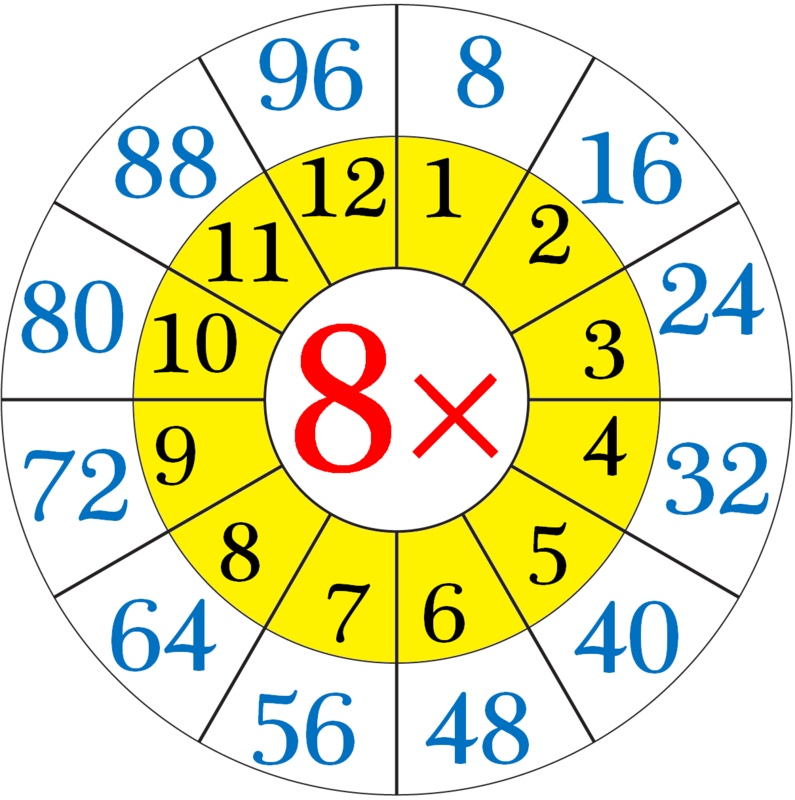 (iii) How many eights in 88? Answers for the worksheet on multiplication table of 8 are given below to check the answers of the above multiplications. 1. 8, 16, 24, 32, 40, 48, 56, 64, 72, 80, 88, 96, 104, 112, 120, 128, 136, 144, 152, 160. 2. 160, 152, 144, 136, 128, 120, 112, 104, 96, 88, 80, 72, 64, 56, 48, 40, 32, 24, 16, 8. 10. 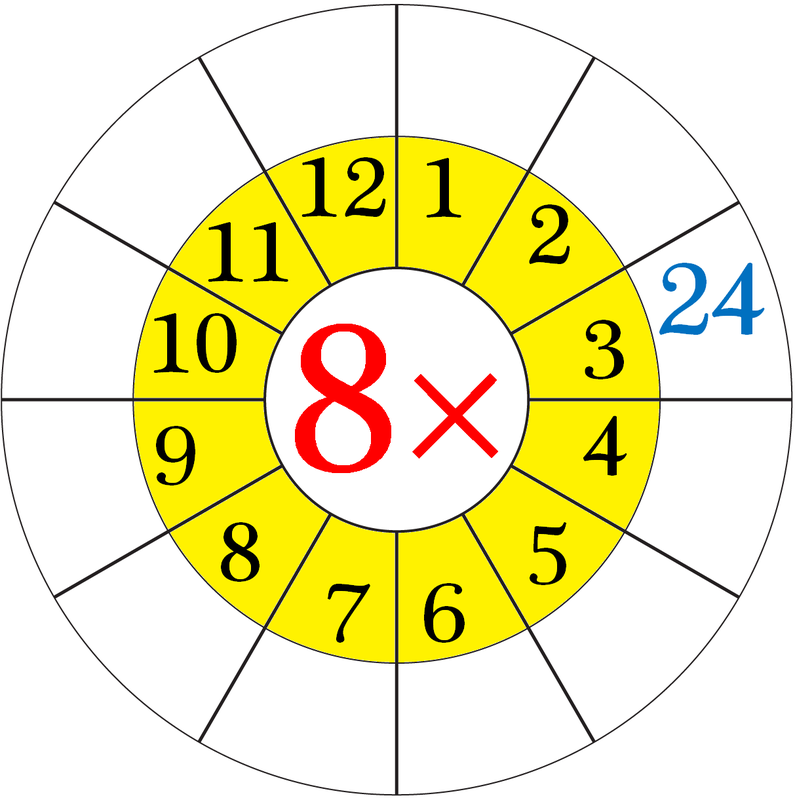 8 × 10 means that the 8 and the 10 are multiplied together or ‘eight tens’ or ‘eight times ten’.